Whomp whomp. There're no OMFG Series 1 (Rotofugi Blue)s for sale. Released only through Rotofugi.com and at the Rotofugi retail location. Not to be confused with the lighter blue release only made available by Onell Design through OnellDesign.com. Bagged with header card as opposed to some of the other releases. 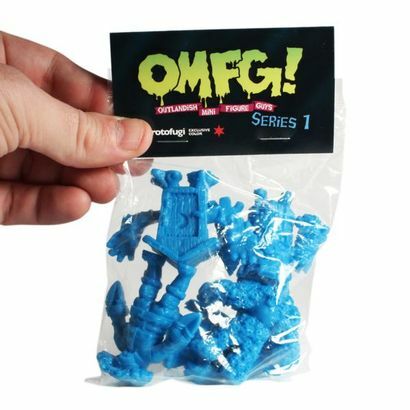 Note: OMFG stands for Outlandish Mini Figure Guy.